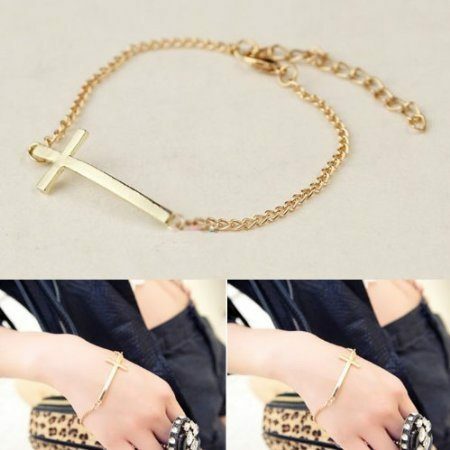 Cross Bracelet Only $1.99 SHIPPED! You are here: Home / Great Deals / Amazon Deals / Cross Bracelet Only $1.99 SHIPPED! Head over to Amazon and get this Cross Bracelet for only $1.99 plus FREE shipping! Jewelry with the cross on the side is SO popular right now. And, you can get this bracelet in gold, silver, or black.